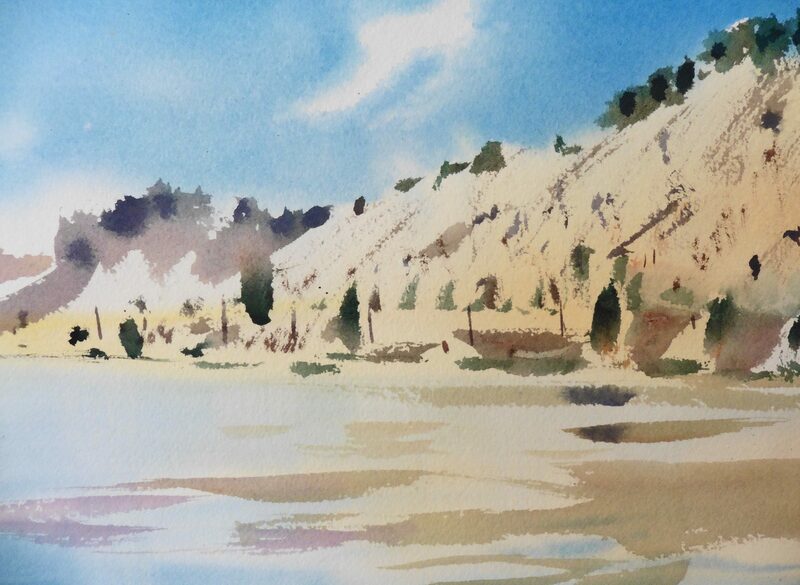 Paper is by far the most important thing you will need to start painting with watercolours. Poor quality watercolor paper is a sure way to fail with your first watercolor painting. There are two things that make a good watercolor paper. 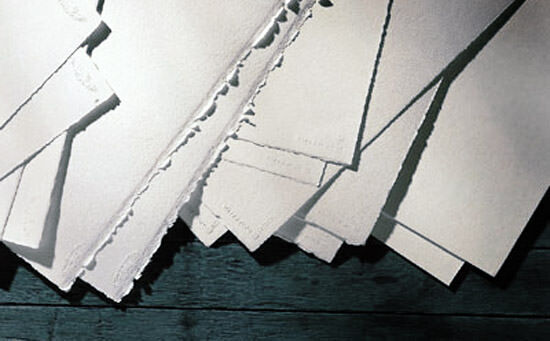 Watercolor paper is made from textile fibers such as cotton, linen & hemp, It is usually made by one of three ways:handmade, mold-made or machine-made. Handmade is the best watercolor paper and mold-made comes in a close second. Both are very durable, stable and shouldn’t buckle and bump as you add water during the painting process. BONUS!!! Each paper has two sides so if one does not work then use the other side. Two for the price of one. Get an acid free rag paper and you will be in the winners circle after your 3rd or 4th painting. 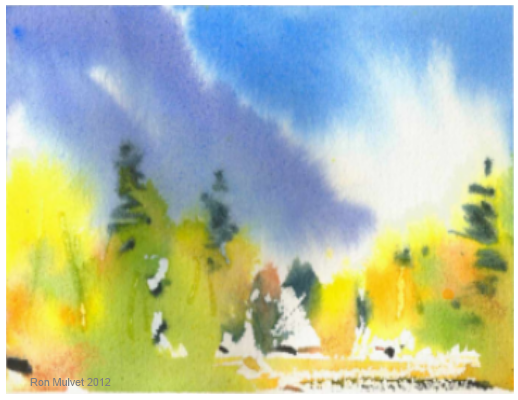 All watercolor papers are made with different formulas which determine their character. Some like to be scrubbed and washed and scrapped and soaked while others are more delicate and like to be treated with kindness. 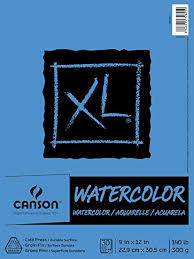 Knowing which paper to buy is not so hard if you consider that this is your introduction to watercolor painting and I am going to tell you exactly what paper you will need to start with. 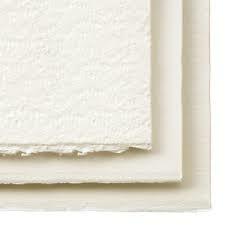 Watercolor Paper is a superb surface to start Watercolor painting. 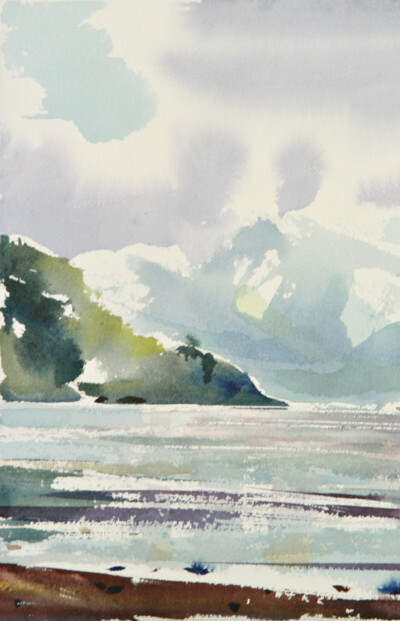 All watercolor papers come in numbered weights: 90lb, 140lb, and 300lb are the most common. The weight determines the thickness of the paper. Flimsy paper makes a flimsy painting. Papers are either cold pressed or hot pressed. Cold press means it has some ‘tooth’ or roughness. The cold press process keeps the paper from getting too smooth and slick. Texture go from smooth to very rough. The best to start with is 140lb. cold press paper. It is a relatively smooth texture but it will give you just enough ‘bite’ to sharpen up your technique. Hot press is a slick paper that is for very fine watercoloring and will drive you into a deep frustration if you are just starting. The lighter 90lb paper will buckle and bend which is another pitfal to avoid when starting to watercolor. I have had success with 90lb when kept to a smaller size such as 6 inches by 8inches. You will have to wet both sides to keep it flat while you paint. The 140b will stay fairly flat as you paint on it. The 30 0 lb will behave and stay flat for a long time. Rough papers are in need of a lot of paint and a more developed technique and would not be suitable for a beginning watercolr student. 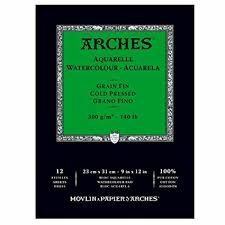 140 lb cold press rag paper is what you need to start watercolor painting Arches is a proven brand. Are There Other Watercolor Papers? Sitting on the shore with a class of 20, everyone has all the materials they need, the weather is ideal and and now we paint … nobody will forget this art adventure. There are are many different brands of watercolor papers. Some good, some poor, and some absolutely terrible. Here are two more excellent choices that I use. Winsor Newton and Cottmann cold press 140 lb. These are both very sensitive and receptive papers that work very well withy wet in wet technique.The subtle texture of the more expensive Winso newton is exceptional. the Cotton is a great all round medium priced paper. Canson is a heavily sized paper that can take a lot working on. You can scrub it and put on many washes to build up luminosity. Sizing is added to all watercolor papers to regulate the anmount of absorbency. Canson is at the less absorbent and Arches and Winsor Newton is one of the most absorbent. Cotton is the choice for the Italian paper called Fabrianno. These are very ‘fast papers’. They take your colors and keep them. You cannot fool around with them. Put on your color and ‘WATCH” do not ‘MESS AROUND’ with the paint. 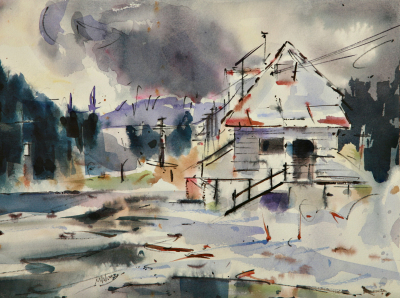 You can move the paint around more with the Canson papers but not the Fabriano. Paint with clean pure colours. Good materials make great pictures. 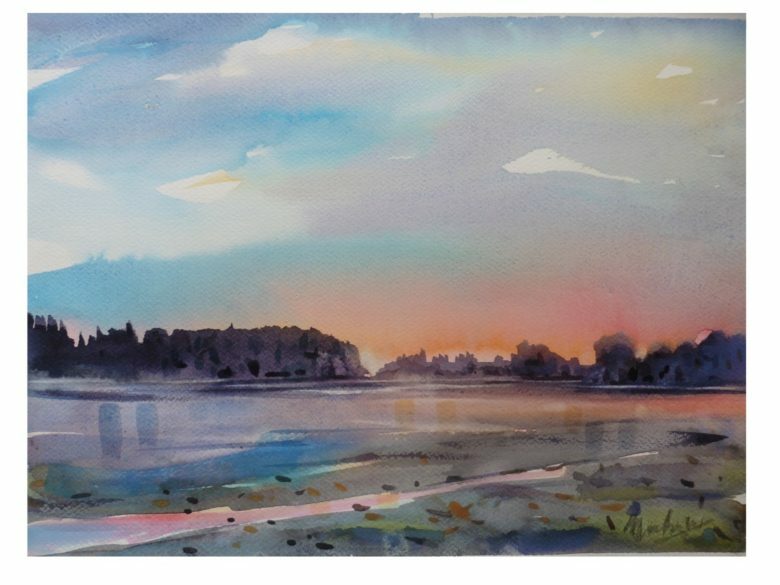 This watercolour landscape was with a smaller class of 8 students.